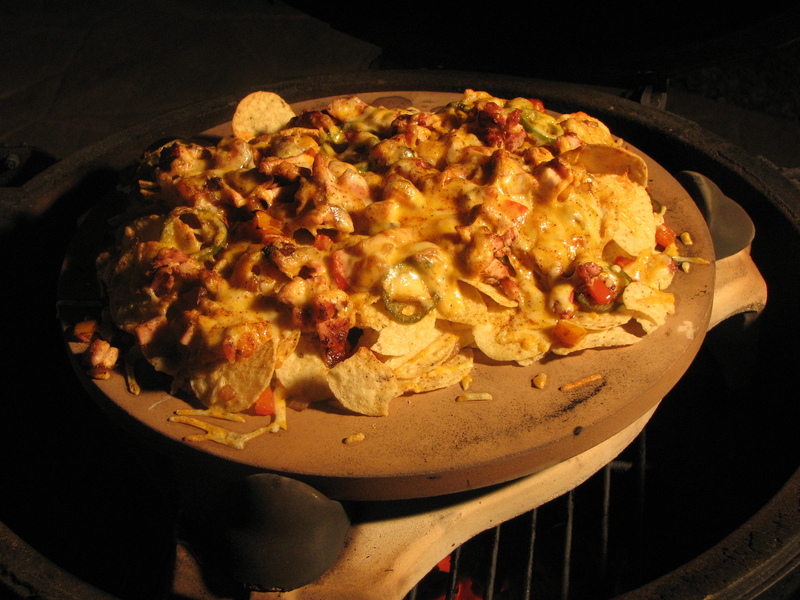 I have made Chicken Nachos a few different ways on the Big Green Egg. 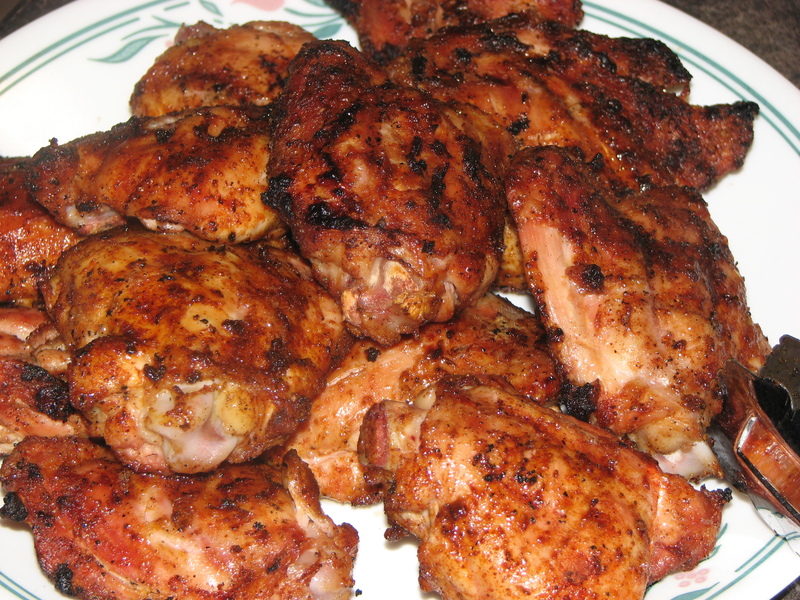 Sometimes I use chicken thighs like I did on this occasion, sometimes I have cooked a whole bird and chopped it up and made nachos with it. It really depends how many I’m making. 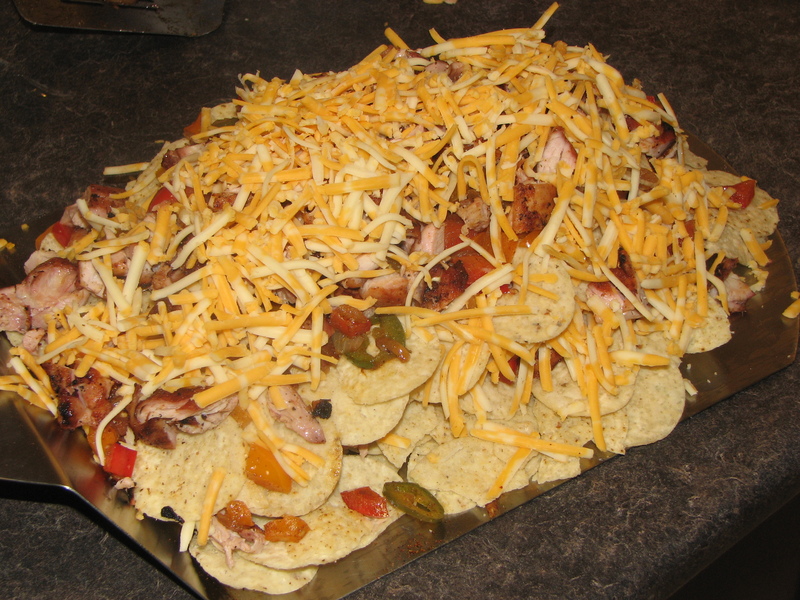 I used chicken thighs but I didn’t want the skin, it adds nothing to nachos in my opinion, so I skinned them all first and then I dusted them with Original Cluck & Squeal. I cooked the chicken at about 375 direct on the Big Green Egg. 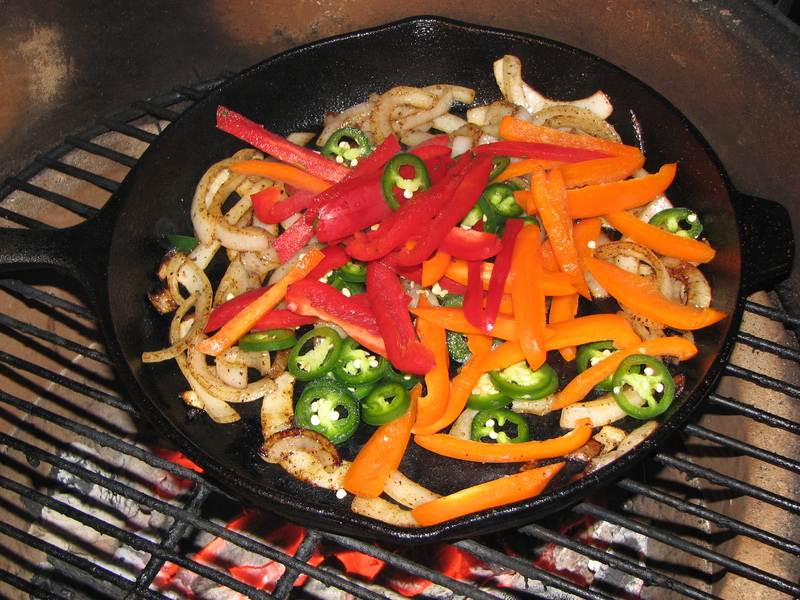 While the chicken was cooking I chopped up some onions and peppers do cook in the cast iron skillet, but I forgot to take pictures… here’s one from an earlier cook. It looked pretty much exactly like this only I chopped the veggies smaller. 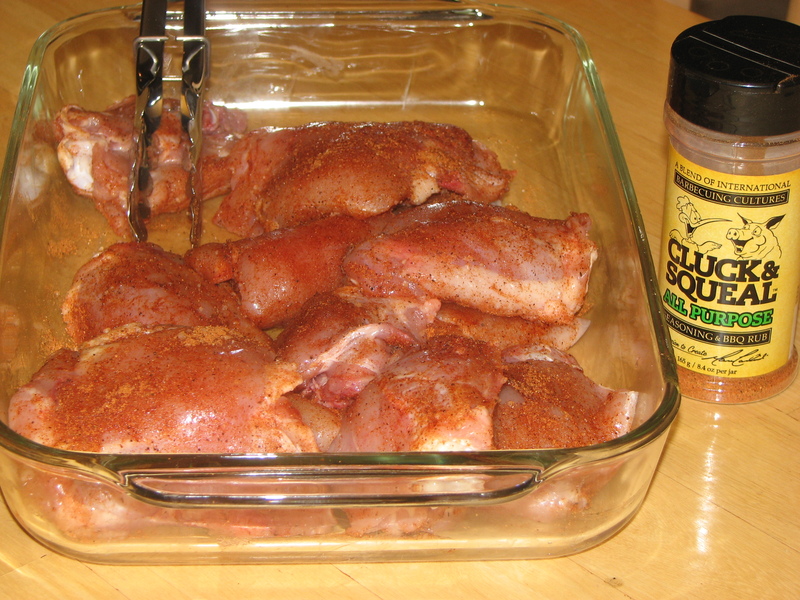 Then season this with whatever blend of tex-mex chili powder blends you prefer. I served these up all nice like in a nice platter with guacamole, sour cream, salsa and hot sauce on the side, but forgot to get a picture because I had company over. 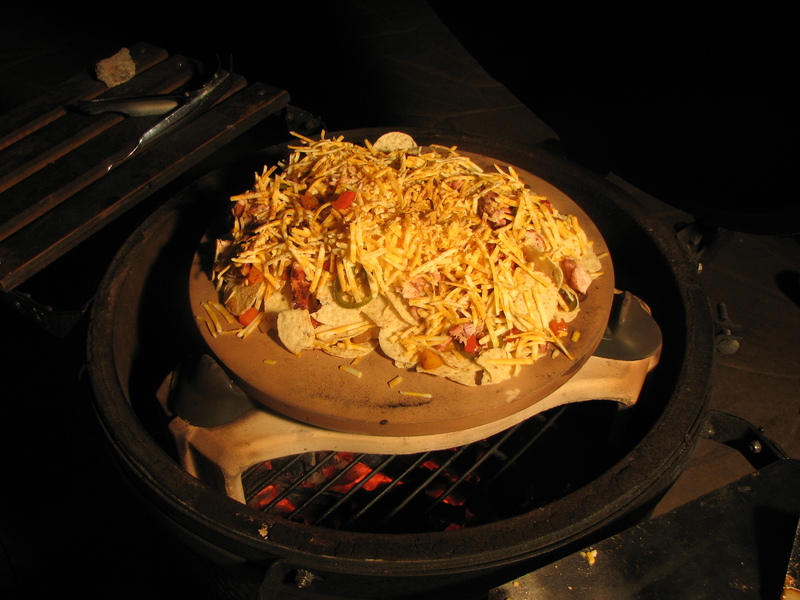 Previous PostCod Fish Tacos and GuacamoleNext PostMac & Cheese on the Big Green Egg? Why Not!! Suddenly I am craving nachos in a real big way!! Thanks for sharing that one.